Faith UMC has ministry opportunities available to meet everyone's needs. Explore the opportunities below for more information. Faith has an active prayer ministry that prays for prayer requests. Prayer requests are confidential and are not shared on the prayer chain unless requested. Please contact our church office at 620-663-2676. Held on the last Saturday of each month. The group meets at the church at 8 a.m. for breakfast followed by work projects and maintenance at the church building or at the parsonage. Men from United Methodist churches in the Hutchinson District meet for a meal, fellowship and a program whenever there is a fifth Sunday in a month. Participating churches rotate in hosting the gathering. Contact the church office for more details. ALL church ladies are a part of UMW. The United Methodist Women (UMW) is a group of women who are committed to Christian mission locally, nationally, and globally. More than one million women across the country are members of the United Methodist Women. Through our organization, we participate in mission through the work of the General Board of Global Ministries of which the Women's Division is a part. Our special emphasis is on women, youth, and children. We support mission activities and partnerships in thousands of communities in every state and in over fifty counties. Any woman may join the United Methodist Women by committing herself to our purpose by participating in meetings, prayer, giving, study, action, or service. As an organization, we celebrate our diversity and inclusive membership. We expand our horizons by committing ourselves to mission work in our communities and beyond. If we were to sum up our purpose, we would say "Mission is the reason for being!" Mission is also our reason for "doing." UMW usually meets the second Thursday of most months at 1:30 p.m. at church. Contact the church office at 620-663-2676 for more details. June and December Faith UMC sends volunteers to the Fair Priced Clothing Store. The Fair Priced Clothing Store is located at 818 W 4th Street and accepts donations of clean, gently used clothing, bedding and kitchen items. Faith has had a very active youth group. We are praying and making plans to rejuvenate our youth program. Children's Sunday School - All ages welcome! Faith participates in a variety of mission projects throughout the year. Projects include our Annual Angel Tree at Christmas, United Way painting projects, and Food Bank collections. Faith has several members with first responder certification who are able to volunteer to support recovery efforts after storms.. 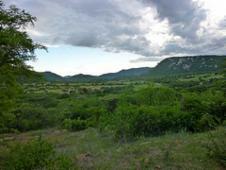 Faith UMC has partnered with a circuit of UMC chuches in the Mutare District on the East Side of Zimbabwe. 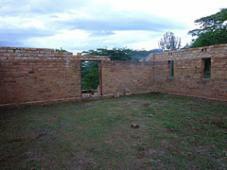 Three churches and one preaching point make up the Zimuyua West Circuit. This developing partnership includes sending financial support each year plus including these churches in prayer. 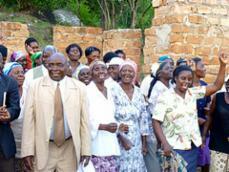 The Zimbabwe churches pray for us and teach us much about living out the gospel in difficult circumstances. Due to the political climate, the employment rate in the region is approximately 2% leaving the unemployment rate at approximately 98%. Despite the circumstances, their UMC is growing at over 10% each year with vital ministries including running schools, hospitals and clinics, and other community projects. 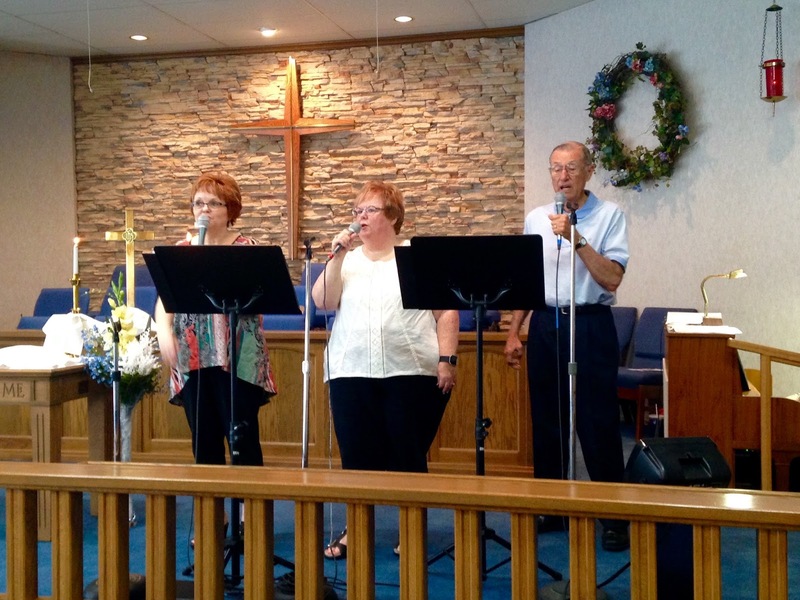 Our Music Coordinator leads an intergenerational choir that enhances the worship service during the school year. 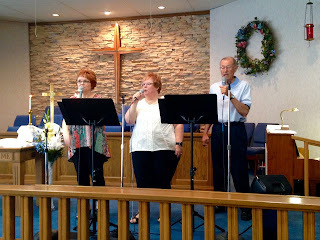 The choir practices on Wednesdays, 6:30-7:30PM, in the church sanctuary. We always welcome new voices! 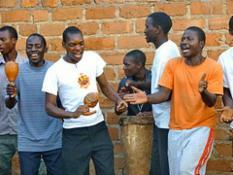 Individuals provide special music for many services and special times throughout the year. Contact the office to schedule when you will share your talent! Call or email the church office for more information on our ministry programs. We are glad you're exploring our website and look forward to meeting you in person. We are located cross-corner from Ken's Pizza on 30th and Severance streets. Join us for a worship at 10:30 a.m.
Sunday School is held in the classrooms at 9:30 a.m. Faith United Methodist is handicap accessible with an elevator to the basement classrooms. Rides to church are available. Please call the church office at 620-663-2676 by 11:30AM on Thursday to make arrangements. Faith UMC, 820 E 30th St, Hutch, KS 2016. Simple theme. Powered by Blogger.